What do you conceive from the word craft when you hear this out? For me a craft is anything that after the artistic alteration turns to be a decorative or practical thing that we can use in our daily life. So we will be discussing a few craft ides with bottle caps. 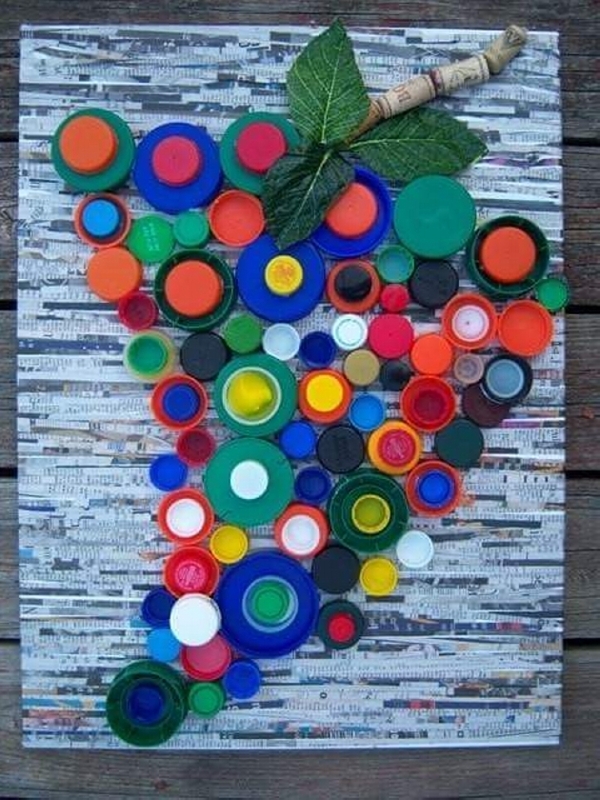 Bottle caps are some tiny circular synthetic objects that are used to cover the moth of bottle or as bottle lids. 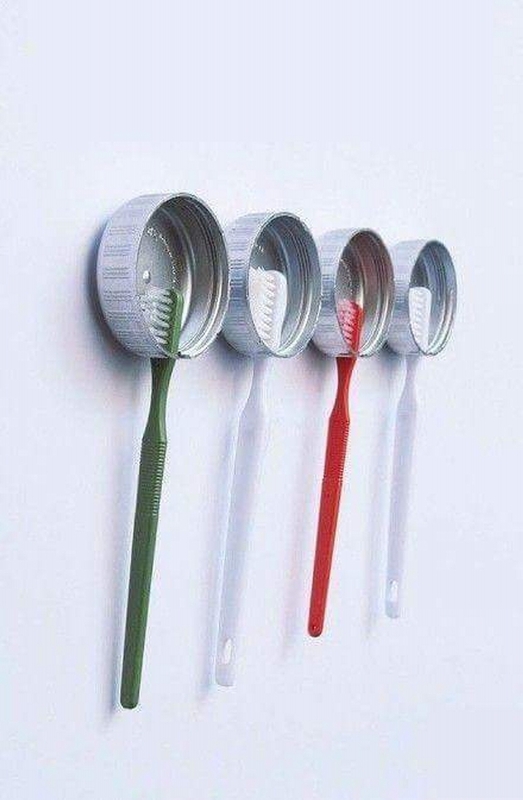 Let’s use them in some insane art crafts. 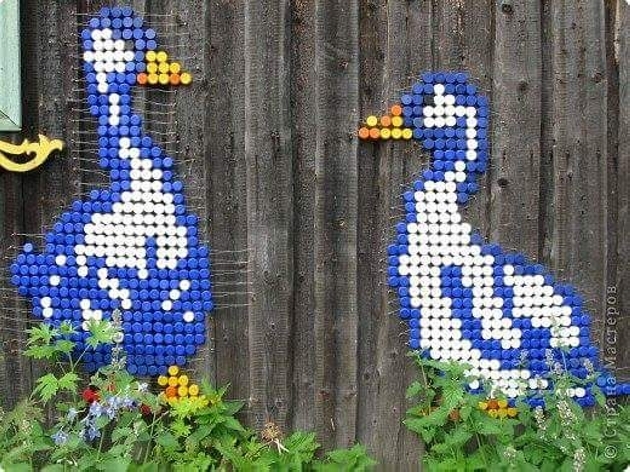 Like here these bottle caps are used in garden art. 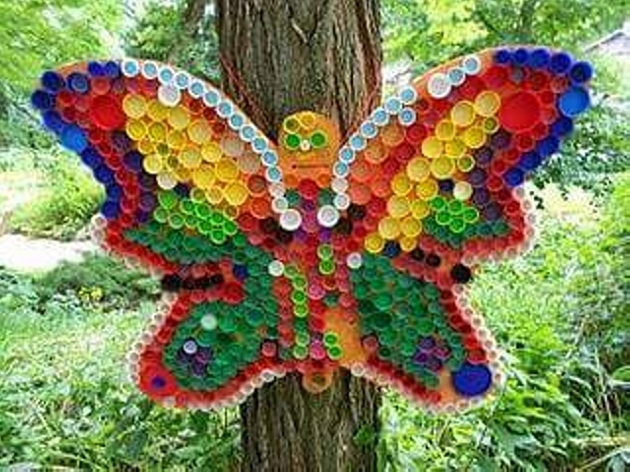 Pasted with sequence on a butterfly shaped cardboard piece, these bottle caps are turned in a beautiful caricature of a butterfly which is the most appropriate object for a garden. 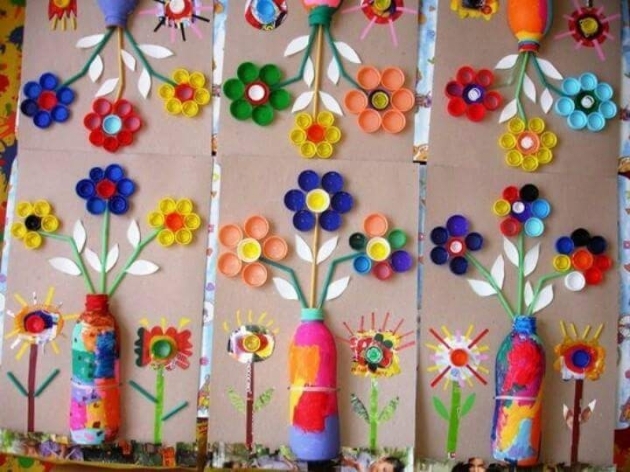 Wall art is another great innovation where some ordinary objects are turned into crafts and hanged or pasted on the wall to enhance its beauty. So here the same bottle caps are pasted joined together forming the shape of ducks. Blue, white, orange and yellow colored bottle caps are used in making this caricature. 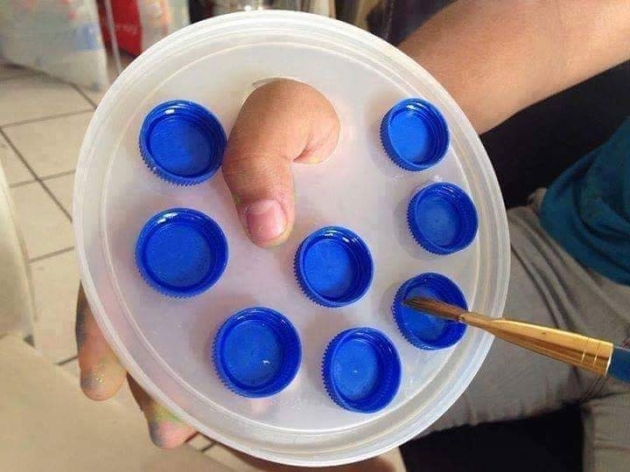 All this is done just to give a new life to ordinary bottle caps and to transform the outdoor wall out of no expenses. This might be a signal that you have a bunch of ducks as pet in your house so it would immediately grab the attention of each visitor. 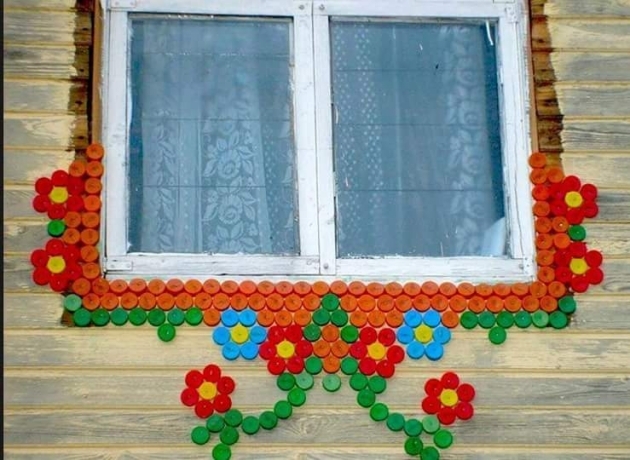 The bottle caps which come totally free of cost. 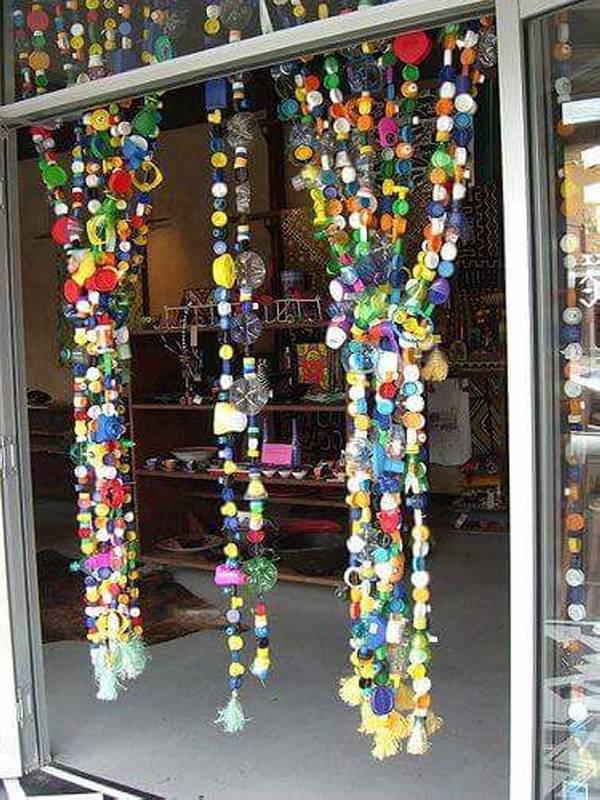 You just have to preserve the bottle caps in a huge quantity and then turn them to a craft idea using these bottle caps. 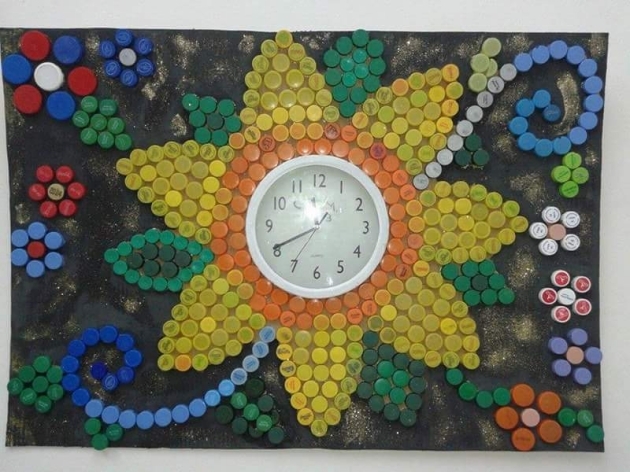 As here they are used in covering a decent wall clock. 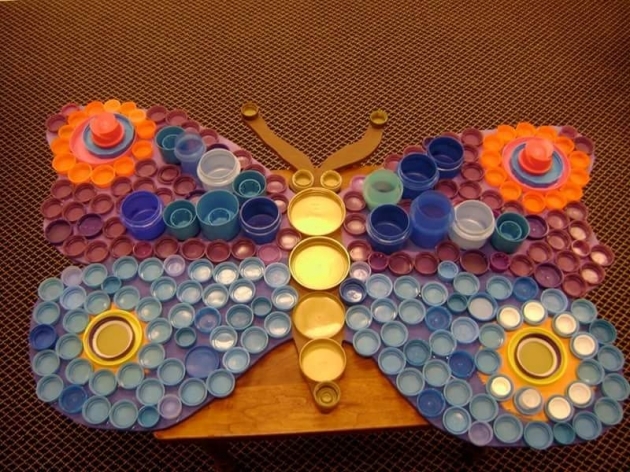 A beautiful combination of bottle caps is made just in a manner that it imitates a huge flower. 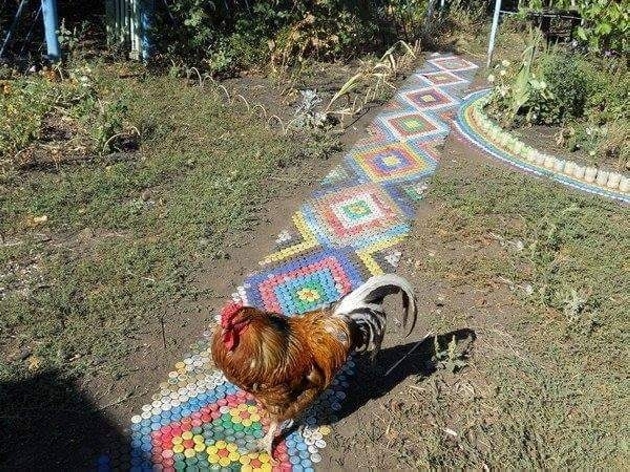 These craft ideas are just to cherish and to enjoy some good work.